Our Mardi Gras party ideas are sensational! 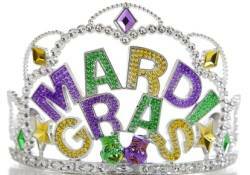 Mardi Gras (Fat Tuesday) is the day of celebration that marks the beginning of Lent. In many ways it is a last blow-out before the Lenten time of fasting and reflection begins. It falls 46 days before Easter which means the actual date can vary from 3rd February to 9th March. In many countries of Europe it is more commonly known as Shrove Tuesday or Pancake Day. Many towns will see fun races in the streets with pancakes carried in frying pans being tossed along the way. It is however in North and South America that Mardi Gras celebrations really come alive with carnivals in Rio de Janeiro (Brazil) and New Orleans (Louisiana USA) being the most famous. Here Mardi Gras has evolved into a wonderful and exuberant festival. A total celebration of joyous fun and partying with feasting, drinking, street parties and parades. All this being set against a backdrop of infectious foot stomping music. The appeal of Mardi Gras now stretches far beyond New Orleans and Rio and is celebrated by people all around the world. Mardi Gras parties are always over the top fun for young and old. Small masks are a key element of Mardi Gras fun. They also make a great invitation to your party. Buy masks or get busy with the construction paper and craft supplies. Mardi Gras is no time for shrinking violets. You are looking for "Over the Top Carnival Bling!!!" Add your invitation to the masks. You may also like to include carnival confetti in the envelope. 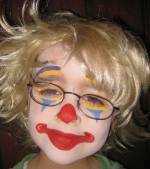 Don't forget to tell your guests to come dressed up in their carnival finery or fancy dress. The most used colours of carnival are purple, green and gold. But there are really no rules. When it comes to Mardi Gras anything goes. Decorate your venue with balloons, streamers and Mardi Gras masks. Decorated umbrellas / parasols are another common feature. Taking your inspiration from New Orleans you may like to also include items or pictures with a Jazz theme. The other key element of Mardi Gras are countless strings of cheap beads. These have long been a feature of parades and carnivals where they are thrown into the crowd to be worn by revelers. Mardi Gras party food usually reflects the "Cajun" cooking of New Orleans. Like the people of this are this is hot and spicy! These are oval shaped pastries glazed with icing and coloured sugar. One of these cakes however holds a secret for hidden within it is a small plastic doll. To find the doll in your cake is considered very lucky and the person who finds it is crowned King of The Carnival. Many people these days make a simple cup-cake version of King Cakes. The doll is inserted in a cut out hollow of one of the cooked cakes before they are all glazed and iced to disguise the lucky cake. Get everyone together and offer the King Cakes around to find your King. You could make a gold crown for your king and have a little crowning ceremony. Dressing up is a vital part of carnival. Mardi Gras is a time for "Strutting Your Stuff"
This can be your loudest party clothes with as much bling as possible. Alternatively many people like to really go for it with over the top fancy dress and carnival costumes! Half the fun of your party will be to see who arrives wearing what. A fun fashion parade shortly after all the guests have arrived is a fabulous way to start your party. Dancing and carnival processions are what will make a great Mardi Gras party. If there are enough of you you might like to at least parade around your house, yard or up and down your road. Do this at night and it can become a torchlight parade with fireworks at the end. A major feature of carnivals is the throwing of bead necklaces into the crowd. This is a simple game where you throw strings of beads trying to land them in buckets or upturned hats. This is like normal musical statues. - The kids dance around but when the music stops have to remain frozen like a statue. Any movement / giggling and they are out (or not depending on how strict you are). To add a Mardi Gras twist tell them their statues must have there arms sticking out. Loop Mardi Gras bead necklaces over their outstretched arms. Now you can really tell if there is a wobble! The French Quarter is the party end of town in New Orleans. Hide little trinkets around your venue. Cheap little novelty items such as toy alligators, bead necklaces, plastic jewels, gold coins, sweets etc are all perfect. Half the fun of this is watching all the kids in fancy dress rampaging around trying to find the most bits and peices. 4 Plastic builders buckets. These buckets, used on construction sites, usually have wire handles and are cheap but reasonably robust. Choose bright colours and decorate with paint or stickers. This really is a simple relay race. The twist is that you have to have your feet in the buckets. Divide the guests into 2 teams and give each team 2 buckets. The first from each puts a foot in each of their buckets. They then have to race lifting the bucket each time (no shuffling along). Once you get the hang of this you can go quite fast. It also looks very funny. Have your contestants race to a point where they put on a bead necklace before bucket marching back to the start whereupon the next person goes. Mardi Gras party games do not have to be complicated. A simple tug of war particularly when everyone is in fancy dress can be a load of fun. It also makes a great photograph. Have 2 rival carnival teams try to pull each other across a line marked with party ribbons and streamers. Get out your limbo pole and have your guests dance underneath. Get lower and lower each time. This is another one that is even funnier when everyone is in fancy dress. Get ready with the camera! Pair up your guests and place a balloon either between their foreheads or chests. The balloon must not be touched by their hands. This can now be worked in a number of ways. You could have races with couples completing complicated courses of your devising either individually or as part of a relay team. Alternatively you could have a dancing competition with each couple competing for style, grace and funkability! A cute individual version for kids is to have them put a small balloon or sausage shaped balloon between their knees and then have them waddle a course in a race. Do you know any great Mardi Gras Party Ideas?